For the first time, we are offering you double the web hosting resources. as well as, free features at the same price. 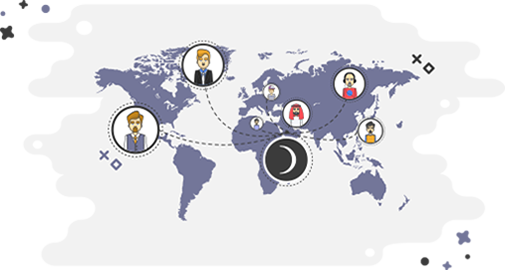 Get shared hosting + domain for one year and enjoy free hosting features. Seize the chance to get the new generation of cloud servers. and enjoying double speed and features. 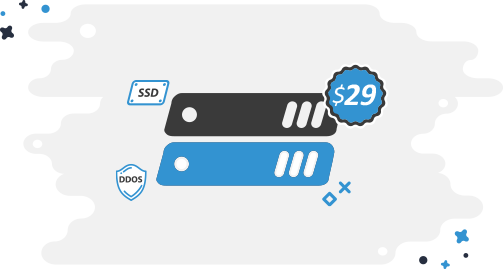 Enjoy the best performance of Virtual Servers at the least prices and get free hosting features. 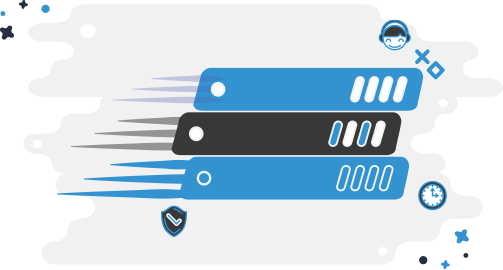 Have the most powerful web hosting and ensure constant security. in addition to enjoying the best technical support and 99.9% uptime. Increase your profits and be one of our resellers for Dimofinf web hosting and design services. It's time now to make your own company identity with us. We always aim at providing the best web hosting at the least prices as Dimofinf has its own servers which enable us to offer the best web hosting at the best prices and the most powerful technical support before and after service reservation. 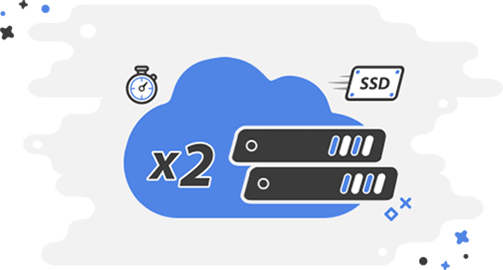 We are always keen on supporting all of our services with our hosting support or customer service teams around the clock specially regarding after sales. Be sure that your problem will be solved as soon as possible. Security is our priority. We are always developing our system to provide the best privacy. We gain our strength through our powerful team, which have a huge experience in supporting our clients in all of our services. Dimofinf has been working in this field since 1998 and has always provided hosting and servers services in the highest and best technologies available. Enjoy the technology and quality of performance with web hosting service from Dimofinf. Enjoy unlimited imagination, and design your website with ease and flexibility, manage your site with Middle East content management software, and the most powerful web hosting for your site ... Wait for Dimofinf 5. Dimofinf deserves to be the best and most qualified in the Arab world. We have been dealing with Dimofinf since Sabq launching in 2007 and we will continue to deal with it as long as it provides its services as professionally. Dimofinf supports web newspapers since its launching till it became an important part of web newspapers success over the past years. Dimofinf will be the most important factor of web newspapers as it enjoys professional technical support. Price, quality, after sales service, technical support Dimofinf provides all of these through its wonderful team. I did not find any company as keen on customer satisfaction as Dimofinf. Thanks for your support, you’re the reason behind our success. Dimofinf provieds perfet customer services, and provide the best after sales services, and always care about customer satisfacation and this is why we have the full trust in Dimofinf in managing our newspaper. Dimofinf is one of the best companies that I have dealt with beginning.They provide cooperative technical support which helps its customers in a professional way which is considered half the service quality for web projects. Dimofinf always aims at achieving customer satisfaction, keeping their services stable and providing the best treatment for its customers,Thanks for your hard work, we feel so pleased to be dealing with you. We have been dealing with Dimofinf since 2011 starting from Infinity CMS and all our websites and business are connected to Dimofinf as we have found them keen on customer satisfaction. we assure that Dimofinf is trustworthy. I feel very pleased to deal with Dimofinf, as I cannot imagine that we have a professional Arab team who can apply the highest quality standards on all hosting and web development aspects. Dimofinf has a professional team in the highest professional levels as one family.